1st class service 5 stars. Integrated Reception Sytems (IRS) providing satellite, cable and aerial feed options throughout your building. Fibre IRS. Most of out new installations use the latest future-proof fibre optic systems. Sky’s Communal TV system, that makes buildings Sky Q ready. Digital Direct have worked with many large developers and electrical contractors across the UK. Our fully qualified engineers will arrange a visit on site to understand your needs and provide a cost effective solution. Quality service given. Happy to use again and again. Middlefield Properties Ltd., Harborne, Birmingham, on Trustpilot. We can design and plan any TV and/or satellite distribution system and have the back up and assistance from one of the market leaders in the TV/Satellite industry. Digital Direct Aerials Ltd. have become CAI Plus members of the Confederation of Aerial Industries delivering evidence of DBS checks, adequate liability insurance and Safe Working at Height training. 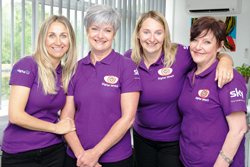 We carry full Employers and Public liability insurances and have full Health and Safety Procedures and these are backed by our Health and Safety consultants Direct Safety Solutions. Digital Direct Aerials are also Constructionline pre-qualified to UK Government standards to save you and all buyers time in your supplier short-listing & selection process. Digital Direct can make your building Sky Q ready. 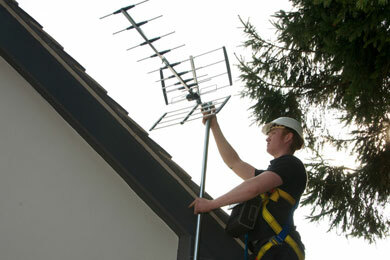 Allowing tenants access to extensive quality TV from a single dish and broadband. 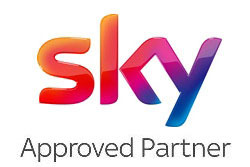 Property managers benefit from expert installation and management, offering tenants access to the latest Sky Q box to record, store and take content on the go. For more on Sky Q click the link. IRS systems offer full digital compliance, with viewers given the choice of full digital TV services such as Sky TV, Freesat, Freeview or BT Vision. Digital Direct Aerials can maintain & support older MATV installations or upgrade it to the latest Fibre integrated reception system to provide tenants full choice of satellite & terrestrial 3D & HD boxes and TVs. 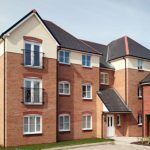 For multiple occupancy buildings, HMOs, our engineers will install a single satellite dish or aerial and as many TV points as required for each room or area. Not convenient right now? Then use our Callback panel, on this page. The permutations of HD ‘set-top’ boxes that deliver content from satellite, aerials and broadband can provide a real challenge to manage and keep neat. So rather than wiring to every room all the inputs and boxes can be placed in one cupboard with all the TVs linked using the HD Anywhere system. The tenant or owner can then add their own Sky Q, Virgin TiVo, Apple TV, BT Vision, Netflix, Amazon Prime or future boxes of their choice. Architect placed TVs can be added in smaller rooms with connections for the feature TVs of the resident’s choice. HD Anywhere can be controlled by remote, App or Voice using Amazon Alexa. 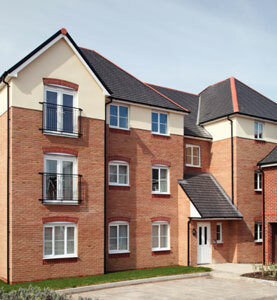 An integrated reception system, or fibre IRS system, is a way of providing digital TV to different areas of a communal building, for example a block of flats or a care home. We are a small college and needed an aerial fitted for some of our accommodation plus TVs wall mounting. A fitter came out and had a look at what we needed and was very helpful in looking at ways in which the wiring could be concealed. I was telephoned by the business owner to give me the quote and check I was happy and they followed up with a written quote. The fitter arrived promptly, early in fact, on the day arranged and did the job well, cleaning up after himself. We also required an electrician to complete the installation and he arrived as arranged the following day and carried out the electrical work and tuned in the TV. Excellent service. We would use this company again. Reliable, straightforward and efficient. 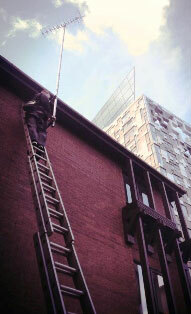 The installation was for a block of apartments that we totally refurbished. Would thoroughly recommend Nik. D Bridge. 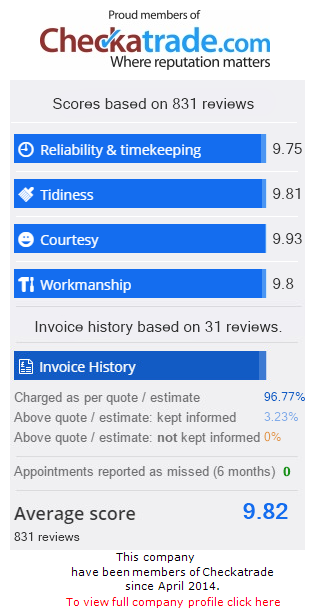 I booked this company to give us a price for 27 flats, lots of company’s that I called were not interested, they arrived on time, the quote was agreed they arrived on site and the job was done! No problems, no fuss. Very nice guys that did the work. Would recommend this company to anyone. MANY THANKS. Sue Byrne, Dudley.